Anna Wolfe‘s stories aren’t particularly long. 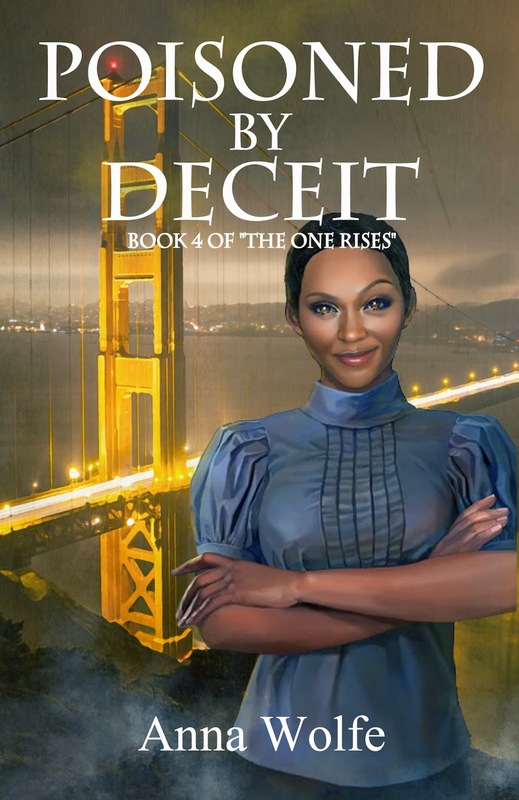 Poisoned by Deceit was 121 pages according to the PDF file I read. I was given a copy of Poisoned by Deceit by Anna Wolfe – no strings attached. But you know me. I love to read and I have come to love working on this blog. Edith Carter, or Edie as she prefers, is one of Silas’ trainees. In reality she is probably at the stage where it is time for her to move on. She and Silas work so well together that Edie isn’t all that comfortable about letting him go. Silas was the one she ended up with as a trainer when she lost control of her powers and almost killed her husband. To say that Edie is bothered by this near-killing is an understatement. While it wasn’t really her fault, she still blames herself for what nearly happened. This is an interesting trait I have noticed in people I know and people I read about. Every once in a while I also find myself dipping my toes into the “what-if” pool of regrets. Regretting her past actions and anguishing about her “what-ifs” definitely rules part of Edie’s life. Regretting past actions is partly what The One Rises is about. Logically, it is silly to feel bad about what cannot be changed. At the same time we need to have an understanding of the effects of our previous actions. Balancing the two is awfully hard. I know I haven’t managed it yet and Edie has an even longer way to go before she is able to let go of her past. She is getting better. Better at controlling her powers and better at seeing the past for what it was. Being bitten by a demon-ridden isn’t something most people long for. It just seems to happen once a demon has taken over a body turning it into a demonridden. That is the way it happened for Edie as well. Now she and the group will have to save her ex-husband’s nephew and a bunch of other teens who seem to have been kidnapped by the Chosen (demonbitten with a superiority complex). I continue to love Anna Wolfe’s writing. Her book was devoured once I found the time to sit down with it. There is plenty of action, plenty of tension (sexual as well as violent) as well as a look into the gray of human psyche. Definitely recommended.